According to The Hollywood Reporter, Scarlett Johansson is set to earn a whopping $15 million to star as the Black Widow in an upcoming stand alone feature from Marvel Studios. This $15 million payday is the same amount her co-stars Chris Evans as Captain America and Chris Hemsworth as Thor were paid not only for Avengers: Infinity War but also for their stand alone films, Captain America: Civil War and Thor: Ragnarok. 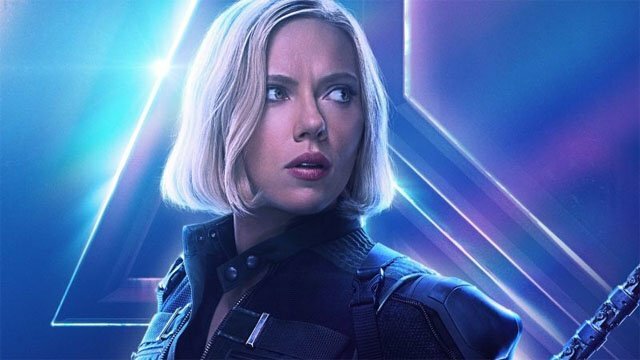 Johansson has portrayed the Black Widow in six MCU movies so far, with the upcoming untitled Avengers 4 and this recently announced film will bring her total to eight. Black Widow debuted in Iron Man 2 in 2010 and Johansson’s incredible performance was the impetus for greater screen time in subsequent movies. Johansson’s work in the MCU and other films made her the second highest paid actress last year. This announcement could make her a contender for the number one slot as well. It was previously announced that Cate Shortland will be directing the Black Widow solo film but no other details have yet been made official. While no villain or other heroes have been named, there has been unsubstantiated speculation that the Taskmaster might make his long awaited MCU debut in this movie. A villain who can mimic any fighting style he witnesses vs. arguably S.H.I.E.L.D.’s number one agent? That is a battle made for the big screen that will guarantee Marvel Studios another number one movie in the world. Are you happy to see Scarlett Johansson earn a large payday for her next Marvel movie? And who would you like to see Black Widow fight in this upcoming film? Let us know in the comment section below!